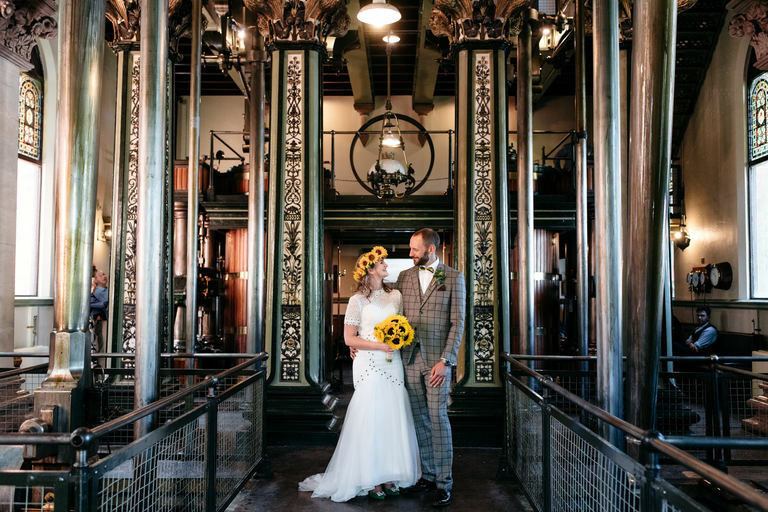 I met Sarah and Andy back at the start of 2017, and when we met and they told me about their Papplewick Pumping Station wedding plans, I knew that it was going to be a bit special. That, and they were both lovely, and funny, and a bit bonkers. A recipe for a good wedding if ever I heard one. I pulled up to their house on the morning of the wedding to see their beloved old Mini gleaming in the sunshine, all ready for it’s wedding car duties. Andy’s a bit of a nut for old cars, and having the mini play a part was really important to them both. 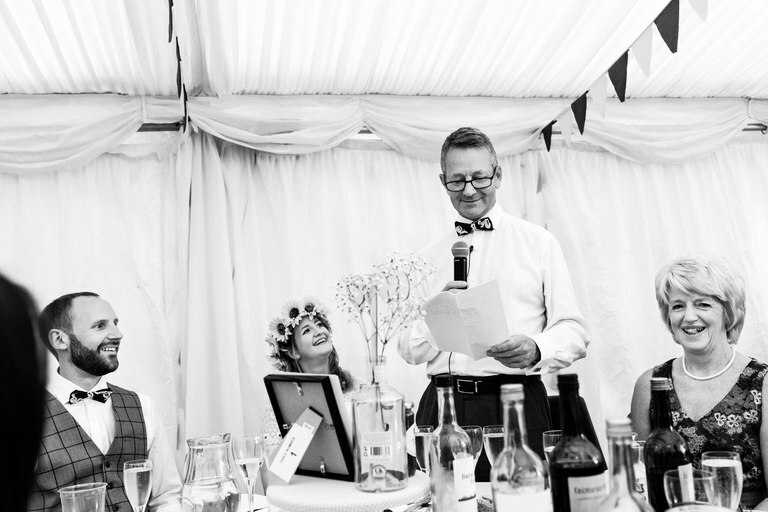 Sarah was having a whale of time with her mum & dad and bridesmaids. 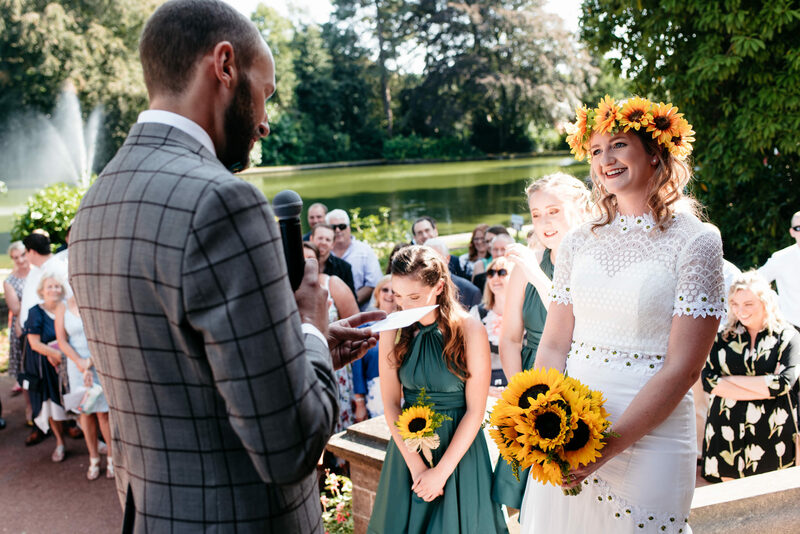 Plenty of smiles, excitement, and sunflowers! 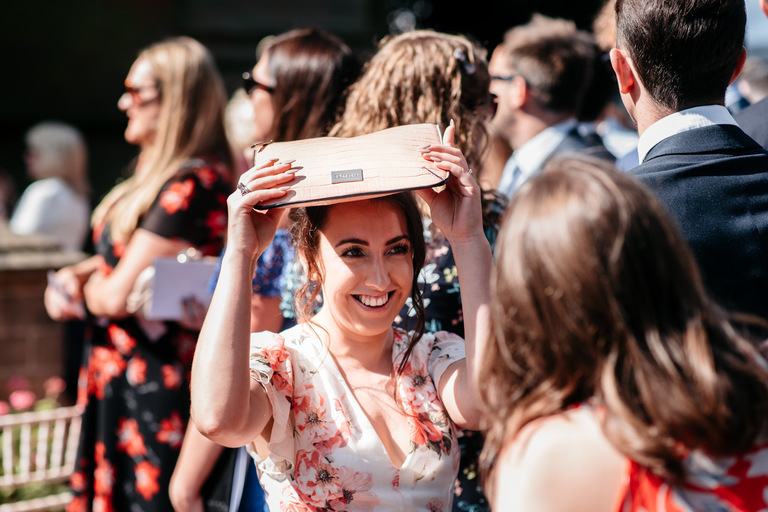 Wedding days are exciting enough, but when you’re blessed with weather like this, it just makes the whole thing that little bit more fun. 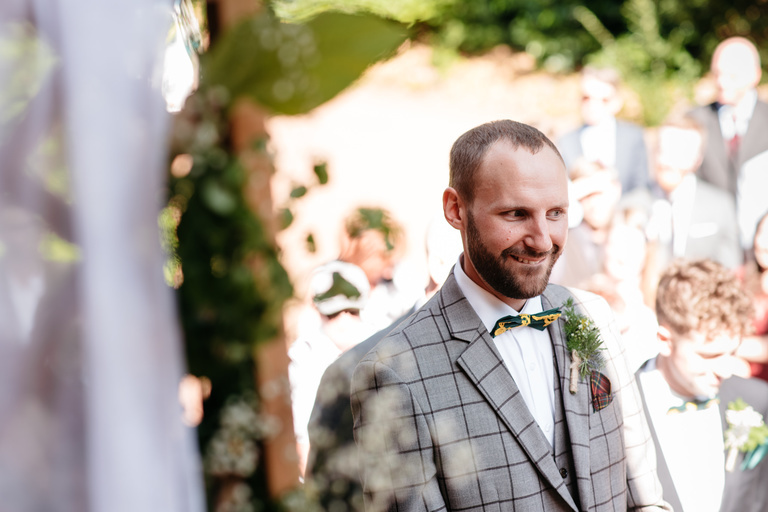 Over at the Pumping Station, Andy was busy greeting their guests as they arrived off the coach. 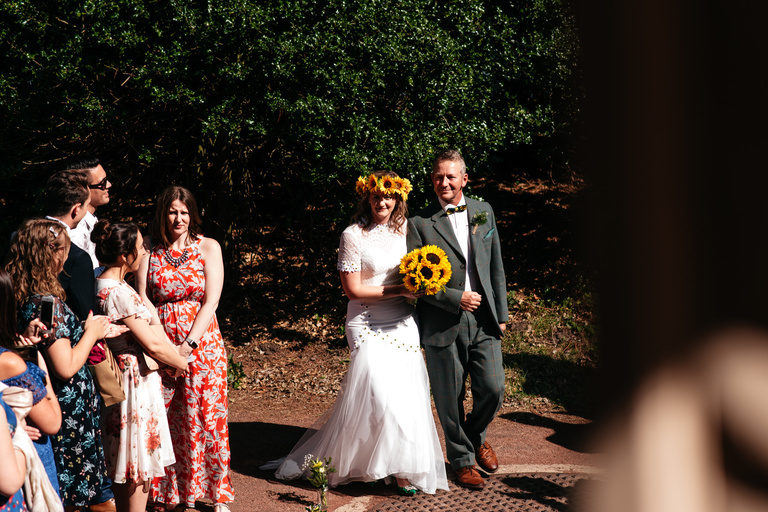 It was great to see everyone enjoying this unusual wedding venue, and taking in the beautiful grounds. And their faces lit up as they saw Sarah arriving in their little old Mini! 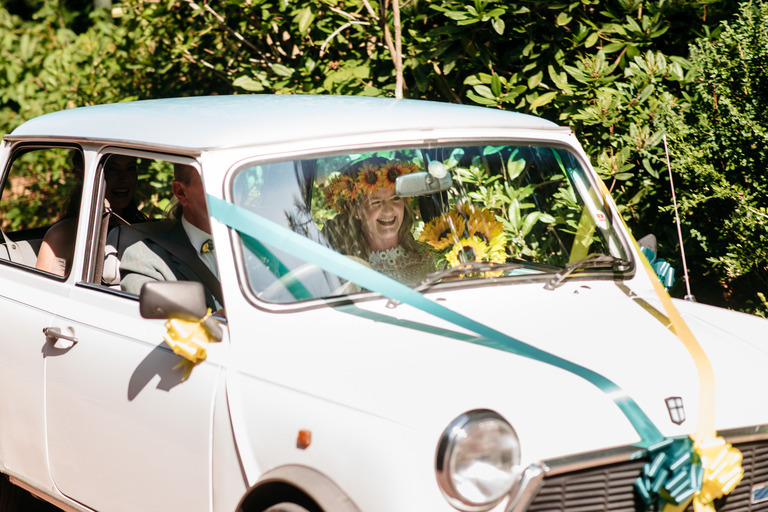 After a really moving, and special wedding ceremony on the steps of the pump house, they whizzed round the corner in the Mini ready to mingle with their guests in the shade of one of the many huge trees on the site. Sarah’s brother put on an incredible performance by singing a few songs as people chatted. 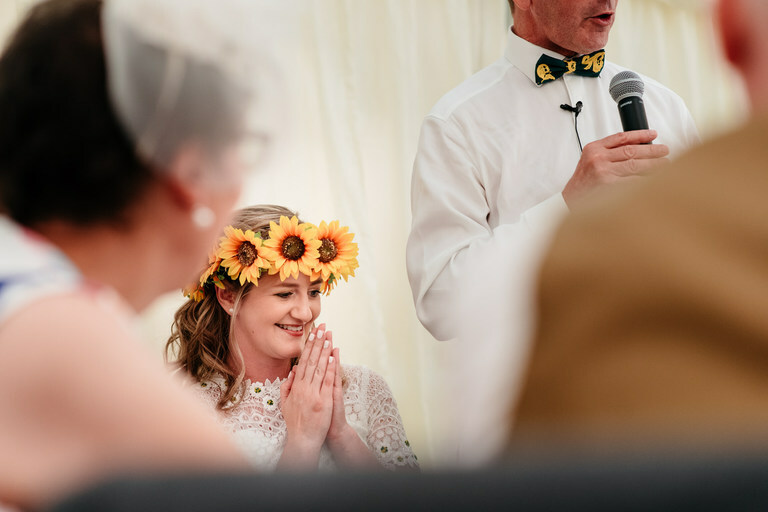 I’d been told about their surprise first dance a few weeks before the wedding, and was sworn to secrecy, as nobody else knew other than those involved. And as their first dance started, and the guests jaws dropped, I knew that their secret had been kept safe! 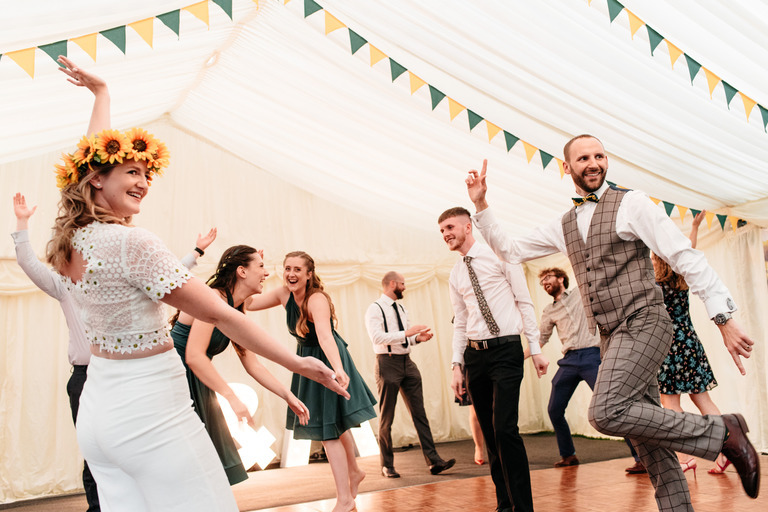 It started off as a choreographed first dance with just Sarah and Andy, which would’ve been good enough on it’s own. (Actually, Andy’s freestyle moves would’ve been good enough on their own!) but when a selected group of guests made their way to the dance floor and joined in, the room erupted! This is definitely up there as one of the best first dances I’ve seen!